If you’re looking for long-lasting results in facial contouring, facial augmentation, or wrinkle correction, you’re probably a good candidate for Sculptra. If you currently have an active skin infection, or if you’ve previously had an allergic reaction to any of the ingredients in Sculptra, you may not be a good candidate. The best candidates are in good health and have realistic expectations. Sculptra differs from other facial fillers because it works gradually and can last up to two years. The result is a more youthful-looking appearance without looking like you’ve had cosmetic surgery. Sculptra has been shown to provide up to 80 percent improvement in treated areas. 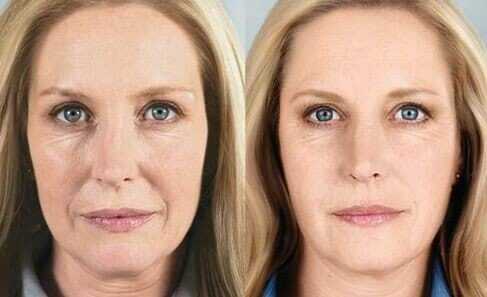 Before and After Sculptra Aesthetic, Images Courtesy of Sanofi-Aventis. One of the key advantages of Sculptra is that treatment can be completed in less than an hour. Prior to injection, your face will be cleansed with an antiseptic. Using a thin needle, we will carefully inject Sculptra into pre-determined treatment sites. The treatment sites will then be gently massaged to promote smooth and even results. Once injected, Sculptra works to correct collagen production beneath the surface of the skin. Final results are achieved across a series of treatments. Most patients require 2-4 treatment sessions performed in 3-6 week intervals to achieve the best results. Sculptra is a quick outpatient procedure that does not require any downtime. An icepack can minimize swelling after treatment, but you should otherwise be able to resume normal activities right away. Your skin will be sensitive, so you should avoid direct sun exposure for the first couple of days. You will notice some immediate improvements after your first treatment, but final results will appear gradually and over the course of several sessions. Final results can last for up to two years. Maintenance treatments will be necessary to prolong your results. Like most cosmetic procedures, there are possible side effects with Sculptra. These risks will be discussed in depth prior to your procedure. Possible adverse events include bleeding, swelling, pain or redness at the injection site. Are you interested in learning more? Contact us to schedule a consultation for Sculptra. During your visit, you will have the opportunity to review Sculptra patient photos and discuss details such as the cost and expected recovery time.